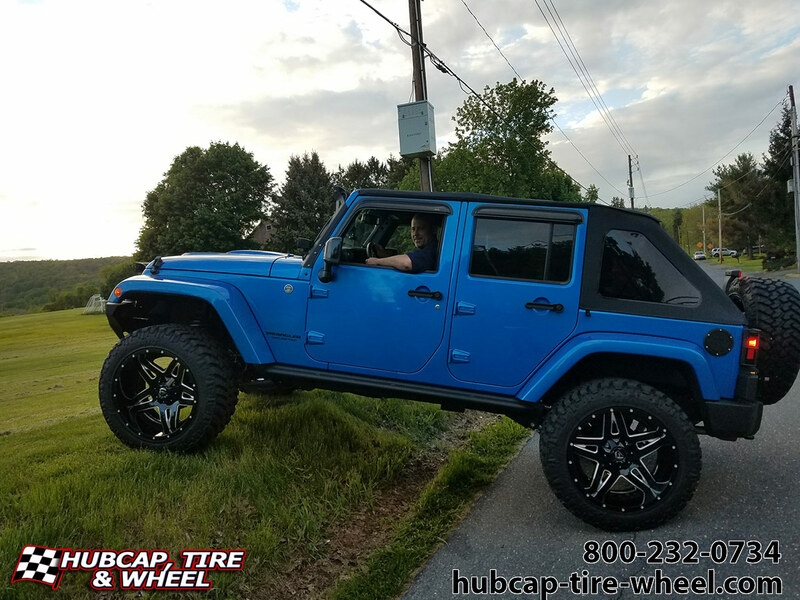 Take a look at our customer’s 2015 Jeep Wrangler riding on 22×12 Fuel D254 Full Blown rims wrapped with Nitto Trail Grappler tires. We aren’t sure who is more excited, our customer or us. 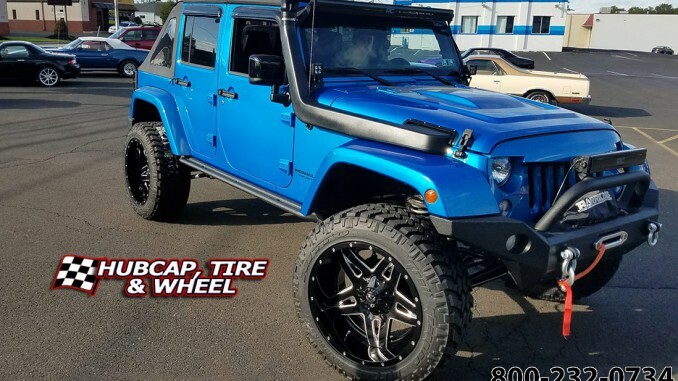 This Jeep Wrangler came out better than we expected. What a great choice of wheels in regards to size and also color. 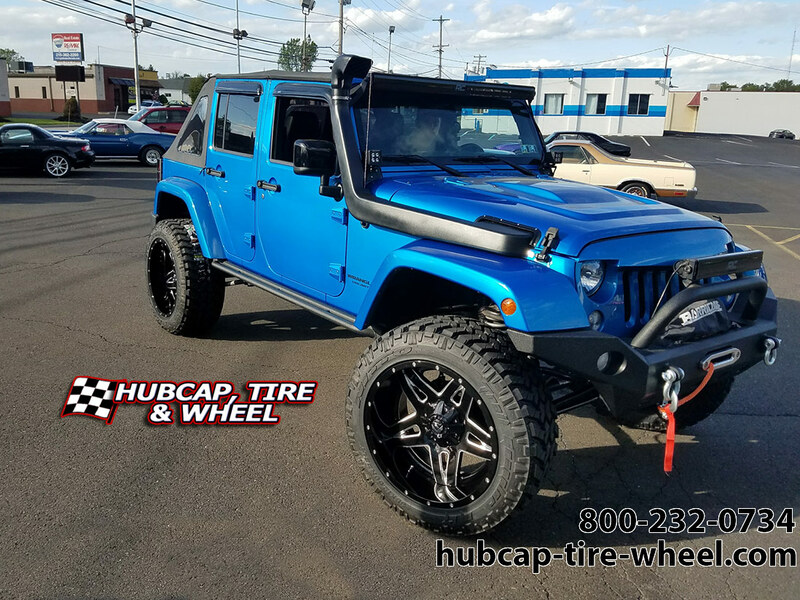 The black and milled wheels accent the blue colored jeep perfectly. The Nitto Trail Grappler tires are a great choice for any type of off-road activities. 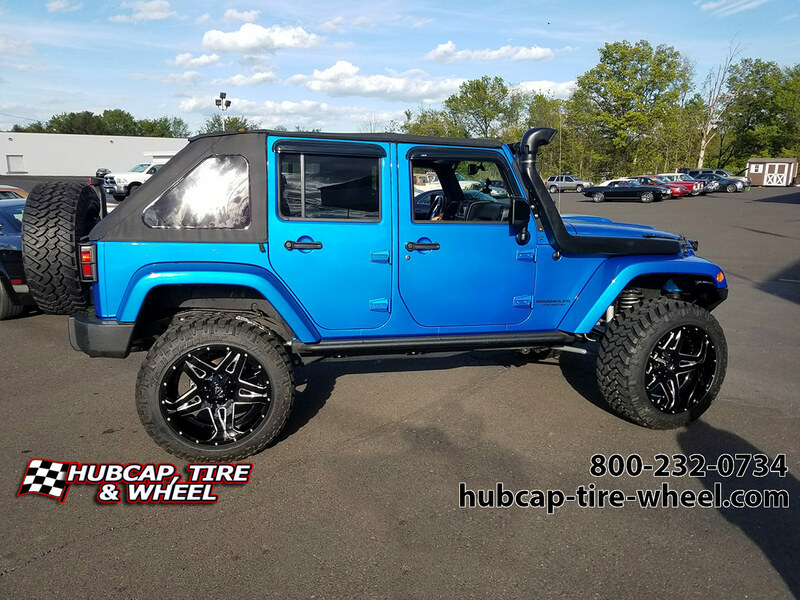 If you’re interested in these wheels and tires or any other products we carry, please get a hold of us. There are plenty of ways to do it. You can call us at 800-232-0734. You can also go on our web site and there is a tab at the top of every page “contact us”. You can also find us on Twitter, Instagram or Facebook and send us a private message with any questions you might have. If you contact us outside of our business hours, we will respond back as soon as we open in the morning. There is no question too large or small. 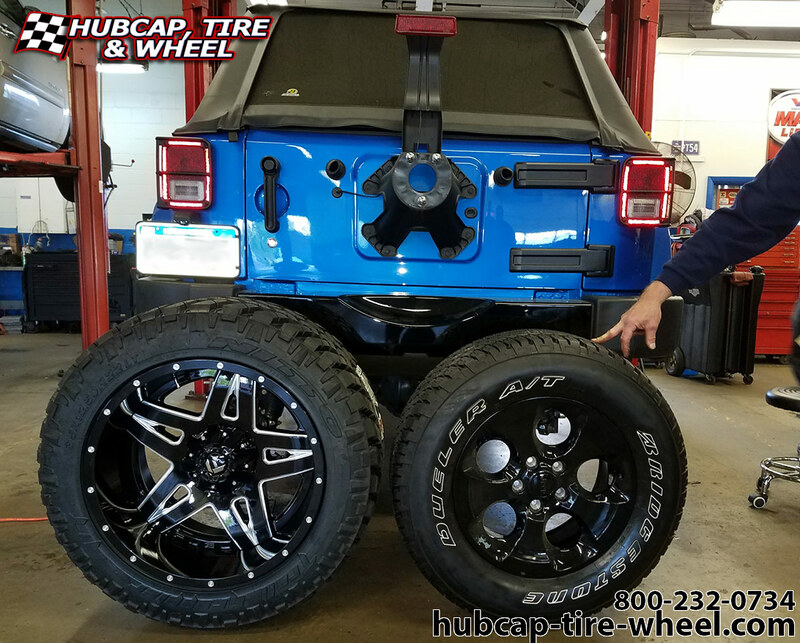 Our wheel and tire experts have been doing this for a long time and they are excited for your questions.